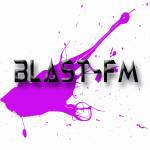 Listen to music from BlastFMRadio’s library (77,772 tracks played). BlastFMRadio’s top artists: Armin van Buuren, Markus Schulz, Calvin Harris. Get your own music profile at Last.fm, the world’s largest social music platform.